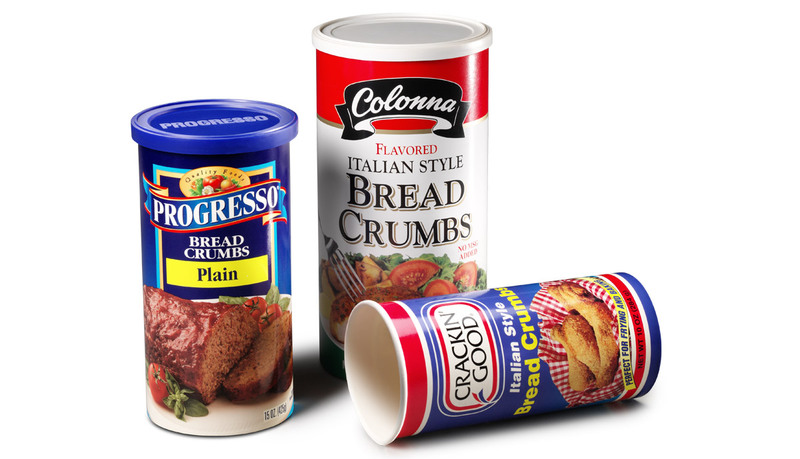 Bread Crumb and stuffing mix can be efficiently packaged in a convolute canister, formed in-plant, on a PMC 2000S, PMC 1300, PMC 2500S, or PEM 300 machine. This package eliminates the need for a bag in box solution and can is cost-effective alternative to expensive composite cans. These straightwall containers communicate effectively at retail and are easy for the consumer to use. 8900 West Bradley Rd. Milwaukee, WI 53224, U.S.A.